Pico de Gallo is a crazy tasty yet super simple Mexican salsa made from chopped tomatoes, onion, cilantro, fresh jalapeños, salt, and lime juice. Serve it with tortillas or sprinkle liberally on all your favorite foods! Tomatoes are in season and can be had for a handful of change… or maybe they’ve even totally invaded your kitchen if you happen to be growing your own! 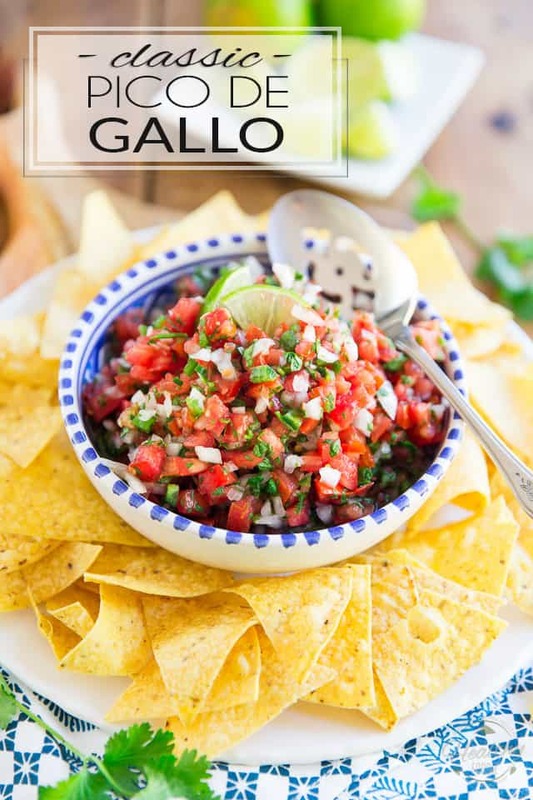 Indeed, not only is Pico de Gallo extremely easy to make, it’s also super delicious, crazy healthy and can be used in countless different ways. This tasty Mexican salsa makes for an excellent dipping sauce and is of course at its best served with tortilla chips, but it also goes fantastic with practically everything and anything Mexican, i.e. tacos, burritos, enchiladas, tostadas, beans and rice casseroles, and even eggs! The post Classic Pico de Gallo appeared first on The Healthy Foodie.